So you checked out the website, you’ve been following us on social media, and you already signed up for the next expedition. I bet you’re asking yourself one very important question right about now – What do I pack? Well, I’m glad you asked. This post is all about what to bring and what not to bring with you on your upcoming trip. For starters, I’m going to state the obvious and encourage you to pack light. It will make your life so much easier if you stick to that very simple rule. We follow the airline policies and instruct each volunteer to limit themselves to 2 bags (50 lbs maximum) and 1 carry on. If you’re bringing supplies with you, then try to keep the bags separate and have one for your personal items and one for your dental supplies. I’ve created a check list and put together a few tips that I think will help a lot. And trust me, this is after several trips and many mistakes later, so I know what I’m talking about! Travel pillow/blanket – I have a silk sheet from REI that I purchased a few years back and it’s great. An outfit in case your luggage is lost or arrives late – That’s happened too. Any prescriptions you take daily or think you will need (Pepto, Tylenol PM, Non drowsy Dramamine, etc.) – Bring your drugstore receipts to avoid problems at customs. Entertainment material – Some of these can be long. Phone charger, camera charger, additional batteries, etc. Scrubs – I bring two and wash the dirty one every night at the hotel. However, you could bring three and not have to clean them so often. But you definitely do not need a different pair for each day. Remember, pack light. Socks – I brought a pair for each day I was going to be working. COMFORTABLE shoes. You’re on your feet all day long, so don’t even think about wearing anything but sneakers. Clothing – Be smart with your choices. For example, don’t bring 4 different pairs of jeans. The Dominican has a tropical climate, so it’s always a good idea to bring light and breathable clothing. Ladies, think sun dresses, shorts, tank tops, etc. The nights after our work days we will be hanging out at the hotel and maybe grab a bite outside of the hotel (depends on what trip you attend), but it will never by anything super fancy. Guys, bring one collared shirt or business casual shirt and ladies, a casual dress is as dressy as you should be thinking. Obviously everyone is different, but the overall culture and environment we will be surrounding ourselves in is pretty casual. Think island life :). Light jacket or sweater – The bus can be cold. Sandals for showering – This just may be me ;). I brought a pair of Havaianas that I wore to the beach or to walk around the hotel and would use those to shower too. Hair ties, head bands, surgical caps – During the work days, you will sweat a lot. Head bands or surgical caps are great at keeping the sweat out of your face. Some of the previous volunteers have worn wrist bands too. Hair dryer and toiletries. The electrical jacks are the same as in the states, so you don’t need any converters. Baby wipes or travel size hand sanitizer – We provide hand sanitizer for the work days, but if you wanted something for when we are out and about, then the travel size works great. The baby wipes are also good for after the work days. Just to clean off a little before heading back home and not feel so dirty. Headlamp and loops if you will be working on patients. CASH – My rule is to have $100 dollars in cash. It’s cheaper and easier to have the currency exchanged in the states, but there are options in the DR too. Make sure you have 10 AMERICAN DOLLARS when you land for the tourism tariff. Snacks and water additives – We always have Gatorade, water, and usually coffee at the clinics. It’s very important that you stay hydrated. I’ve taken nuts with me, protein bars, and I’ve seen people bring Gatorade powder packets. Snacks can get heavy though, so keep that in mind. Pick items you can easily fit in your bag every day to take to clinic and that are easy to travel with. A small backpack/tote bag/purse/fanny pack – This is for your every day personal items you wish to take with you to clinic. We always have a safe place at the clinics to put your things aside, but still encourage you to not leave things like iPhones unattended. Detergent packets if you’re washing your clothes – Pick travel sizes. I’ve always bought this there though. Just seems easier and takes up less space. Pillowcase or sheet if you’re a germ freak like me – This is where my silk sheet comes in super handy. It rolls up into a tiny ball and it’s very light and easy to travel with. A travel alarm clock or your cellphone – We are very busy in the clinic and always aim to get there on time, so make sure you take something with you that will wake you up every morning. Underwater camera, regular camera, extra SD cards. Hats for beach days or if we do any hiking. Quick drying towel – Places like REI and Amazon are good places to find these at good prices. Make a copy of all of your documentation and give it to one of your family members. This will help in case of an emergency or if you lose something. Give a copy of the itinerary to your family as well. Wifi is available most of the time during the trip, but it’s usually at the hotel. So make sure your family and friends know that you’ll have limited access to communication throughout the day. Don’t pack anything expensive or that will devastate you if it’s lost or stolen. Ladies, try to keep your jewelry to a minimum. We have never had any issues or felt unsafe, but it’s always a good idea to not draw attention to yourself. Try to be somewhat organized and pack for each day. This always helps me keep things to a minimum. Basically, I know what I’m wearing each day morning and night. Take a look at the schedule and see what the activities are going on. 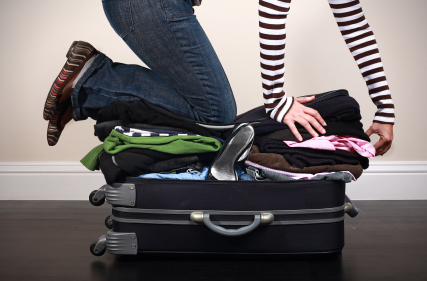 By being strategic, it will also help make sure you aren’t over packing. Wherever we are, there will always be a store or a little bodega to purchase essentials at. So don’t freak out if you forget something, but don’t rely on purchasing everything there. Just know that you do have options in case you need something extra. If you bring dental supplies, try to label them and keep a record of what you brought. This will make it easy for you to collect your things at the end and make sure that you have everything you came with. Journals are a great way to keep a diary of the events of the trip. It’s also a neat way to reflect on the work days and your experiences from the trip. Add luggage tags with your information to your bags. In case they get lost. Consider a safe bag for your documents. They make thin fanny packs that you could wear under your scrubs or clothes. You can find these at REI or Amazon too. Travel locks for your things when we aren’t at the hotel. I want to emphasize the fact that we haven’t experienced anything questionable in the past, but it doesn’t hurt to be careful. Ziploc bags or dry bags are good for your things when we go on our boat rides. Consider bringing a dirty laundry bag. I use a good old grocery store plastic bag, but find that it’s nice to have my dirty and clean clothes separate at the end. Well, I hope that this helps. If you have any questions about what to bring, you can always shoot us a message or an email and we will gladly help. Thanks for stopping by, and happy packing!